We can provide solutions for your customers' growing appetite for solar—and other forms of renewable generation. 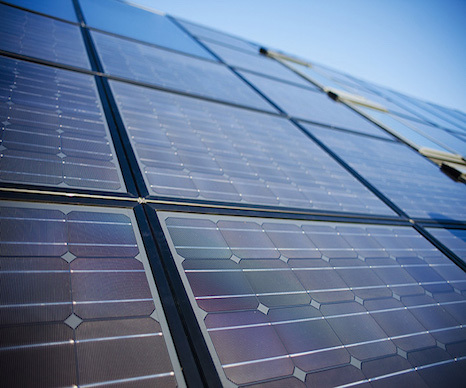 By connecting qualified installers with participants, streamlining processes, simplifying incentive programs and providing options for participation, we're able to reach all customer segments, including those typically left out of the trend toward solar and other renewables. More and more, customers are looking for alternative, renewable forms of energy generation like solar, water and wind. Renewables represent a way for users to control costs, satisfy social desires and make a positive environmental impact. At CLEAResult, we understand that in order for solar generation to realize its potential, it needs to be supported by strong, successful utility programs. In our industry, we have seen many examples of solar programs suffering intense scrutiny after delays and poor handling. The solar incentives themselves often outstrip the machinery required to deliver them. In designing and operating our solar programs, we focus on policies and procedures that ensure transparency, thorough communication and positive customer experiences. In this way, we avoid the mistakes that jeopardize other programs. CLEAResult's solar and other renewable programs give utilities a way to provide the energy generation options your customers are seeking. Our commitment to the simple, structured, clearly defined delivery of well-designed programs benefits operators and customers alike.